Newtown has been undergoing something of a Surry Hills-type makeover in the past year — the rejigging of the Newtown and Marlborough Hotels, Spencer Guthrie, Mary's and a forthcoming bar from the Shady Pines crew have amped up the bar room glam of King Street. The enormous Bank Hotel has prime position on the street, located next to Newtown train station and the main hub of the suburb. With three bars and an outdoor terrace in the main building and a downstairs bar and beer garden at the back, it's Newtown's more beer-stained answer to the Sheath in Double Bay. 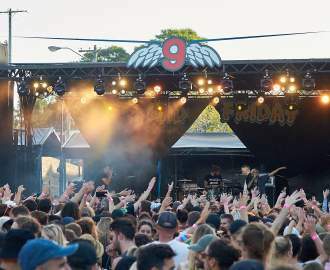 The Bank has a 24-hour licence, and while it "only" opens to 4am at the weekends, it's got the reputation as being a boozy outer suburbs drinking den on Fridays and Saturdays and is frequented by out-of-Newtowners rather than locals and doesn't quite fit into the area's grungier vibe. The longstanding Sumalee Thai restaurant downstairs, which was serving Newtown's international cuisine of choice for about 20 years, has made way for a gourmet gastro pub grub kitchen. The nameless kitchen offers slightly higher-priced than Newtown's usual pub fare, but is really medium restaurant standard rather than dishing out just burgers and chips (although that too is on offer, if renamed 'bun stuffers'). 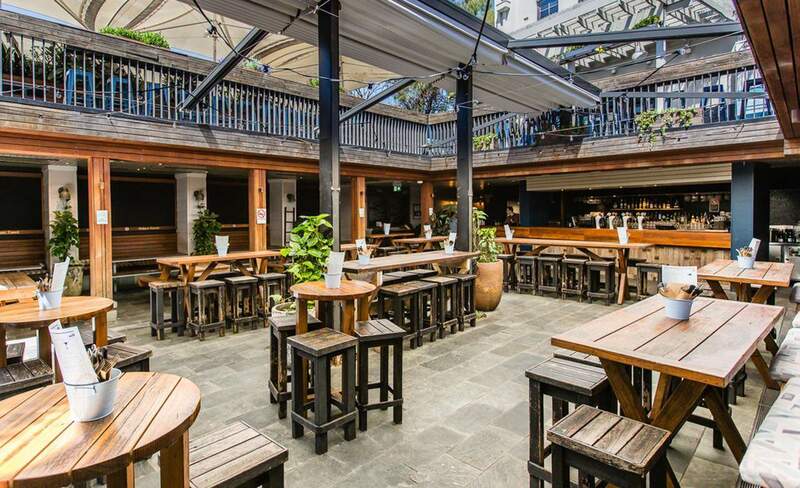 Solotel, the pub chain that also owns The Clock in Surry Hills and the Kings Cross Hotel among its 19 venues, bought the Bank last year and plans to redo the interior, with the beer garden kitchen leading the rebrand. The bar food is certainly better than elsewhere in Newtown, with shared plates such as sticky lamb ribs with lemon yoghurt ($13) or nicely presented warmed smoked oyster in a tin with Tabasco and crackers ($12) reasonably priced. There's pizzas, of course, and the aforementioned bun stuffers, including eggplant parmas, beef, porchetta (roasted pork slices with gravy, a rather messy handful) and chipotle chicken with dried japaleno (all $17, in square buns). The mains have two steak choices, a pork cutlet, grilled swordfish and BBQ chicken with parmesan-flecked potatoes and broccolini in a stock sauce ($23), probably the best on the menu. Desserts are pretty basic, with options limited to a butter pecan or vanilla ice cream sandwich (both $6). There's no reason why the Bank won't enjoy the same success as the Newtown Hotel, and there are plans to extend the terrace to a front balcony, like the Newtown. But some work needs to be done on the bland front bar to make the back garden, which is very inviting, to be more than a hidden secret.